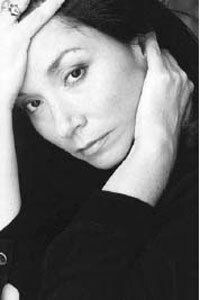 In 2004, Marie Clements received the Canada-Japan Literary Award for her play Burning Vision (2003), also nominated for six Jessie Richardson Theatre Awards. Burning Vision is an impressionistic drama about Aboriginal miners in the Northwest Territories who were told they were digging for a substance to cure cancer, but instead were helping to build the atomic bombs that devastated Hiroshima and Nagasaki. In 1930, Gilbert and Charles LaBine staked a claim for high-grade pitchblende near Cameron Bay on Great Bear Lake, in the Northwest Territories. When this Eldorado claim began extraction procedures, Déné men were hired to transport the ore and ferry it to Fort McMurray. In 1941, the U.S. government ordered eight tonnes of uranium from Eldorado for military research purposes. In 1942, the year the Canadian government bought control of the mine, the U.S. government ordered 60 tonnes of Port Radium ore. The first atomic bomb was exploded in New Mexico on July 16th, 1945. Atomic bombs were dropped on Hiroshima on August 6, 1945 and on Nagasaki on August 9, 1945. In 1960, the first Déné miner died of cancer in connection with the Eldorado minesite. As Burning Vision reveals, it wasn't until 1999 that the federal government signed a commitment to clean up and contain the Port Radium mine site. A Canadian government publication had made warnings about the health hazards pertaining to high-grade radioactive ores in 1931. Clements shows how race played a role in the miners' deaths. Born in 1962, Marie Clements founded urban ink productions, a Vancouver-based Aboriginal and multi-cultural production company that creates and produces Aboriginal works of theatre, music, film and video. As a Métis performer and playwright, she has explored the politics of race, gender and class in Age of Iron, produced at the Firehall Arts Centre in Vancouver and published within DraMétis: Three Métis Plays (2001). Clements' surrealistic play The Unnatural and Accidental Women (2005) is another politicized reconstruction of the past, this time pertaining to a 30-year-old murder case involving female victims of violence in Vancouver's Skid Row. After several women are found dead, all with high blood-alcohol readings, and all last seen with Gilbert Paul Jordan, a low-lifer known for his associations with primarily middle-aged Aboriginal women, a coroner lists these deaths as "unnatural and accidental. "; Marie Clements adapted her play The Unnatural and Accidental Women into a screenplay called Unnatural and Accidental, the film version of which was screened at the Vancouver International Film Festival in 2006. The remarkable, tormented life of Norval Morrisseau, the man generally regarded as the Father of Contemporary First Nations art, is worthy of an opera, so Clements has fashioned a multi-leveled stage play, Copper Thunderbird (Talonbooks $15.95) to explore his complexity. Copper Thunderbird relates a Faustian tale of the world-revered artist who became a Grand Shaman within the realm of Ojibwa cosmology while succumbing to the effects of family abuse, alcoholism and extreme poverty-including wanderings on the streets of Vancouver's Downtown Eastside. The result is a composite vision of a fractured life that ranges from the Fort William Sanitarium in 1956 (where he was treated for TB) to the Sandy Lake Reserve near Lake Nipigon in 1965 to the Kenora Jail in 1973 to the Ste. Rose Catholic Detoxification Centre in 1975 and to Los Angeles in 1987. The First Nations people of the Pacific Northwest and elsewhere have obviously not vanished, as the frontier photographer Edward Curtis once surmised they would, thereby giving him a self-prescribed mandate to roam the west and generate a massive archive of images that were frequently staged for effect. With images by contemporary photojournalist Rita Leistner, playwright Marie Clements has followed her drama about Curtis and his work with the illustrated text of her play, The Edward Curtis Project: A Modern Picture Story (Talonbooks 2010) that was stage at Presentation House coincidental with the Olympics in the spring of 2010. Marie Clements has been the writerly and administrative force behind The Road Forward, an original, Aboriginal blues/rock multi-media musical that integrates traditional and contemporary musical forms, historical media archives and inter-active live performance. The Road Forward was inspired by The Native Voice, an Aboriginal newspaper founded by The Native Brotherhood and Sisterhood of B.C. in Vancouver, B.C., from the 1930s to 1970s. "The Native Voice chronicled not only the voice and vision of some of Canada's most prominent and important history makers, it gave insight into the present realities of Aboriginal people across the Americas. It featured the hard-won events that changed our future." Its contributors were First Nations and non-aborginals alike, including the Quaker West Coast novelist Hubert Evans. "The Road Forward follows a long tradition of coming together to create a collective will: to raise our words and voice and answer the call for change." Other publicity materials state "The Road Forward was originally conceived to honour the Native women and men of the Native Brotherhood and to raise our hands to the Native women missing and murdered on the Highway of Tears and Vancouver's Downtown Eastside... The Road Forward was commissioned and performed as a nine-minute piece for the closing performance at the Aboriginal Pavilion for the 2010 Olympics. This performance featured Evan Adams, Byron Chief-Moon, Leela Gilday, Jennifer Kreisberg, Kevin Loring, Pura Fé, Ostwelve and Michelle St. John. The piece included additional vocals by Russell Wallace and Rich Carlson and choreography by Michael Greyeyes. The live performance was set amidst an original sculptural installation by Connie Watts. As a live performance music video directed by Marie Clements, The Road Forward went on to premiere at over 16 film festivals in North American and Europe. It won Best Music Video at The American Indian Film Festival and Winner of Best in Show (Audience Award) at The Native American Film & Video Festival of the Southeast. Clements' production company red diva projects was in residence with The Vancouver East Cultural Centre in 2011-2012 and presented a workshop production to a sold out audience at The Push International Festival, February 1st, 2013. The work was re-produced during the 2015 PuSh Festival with three performance at the York Theatre, at 649 Commerical Drive in Vancouver, in February of 2015. Written and directed by Marie Clements, The Road Forward features music composed by Jennifer Kreisberg and guest composers Wayne Lavallee, Ostwelve, Maurice & Delhia Nahanee. Produced by Clement's own red diva projects, its performers in 2015 included Jennifer Kreisberg, Wayne Lavallee, Michelle St. John, Cheri Maracle, Murray Porter, Shakti Hayes, Russell Wallace, Ostwelve, Latash Maurice Nahanee, Delhia Nahanee, Amanda Nahanee, Marissa Nahanee, Corey Payette, JJ Lavallee, Nyla Carpentier. The cure for death by Lightning is an adaptation by Daryl Cloran of Gail Anderson-Dargatz's 1996 novel of the same name which became a bestseller and award-winner in Canada and the U.K. Adhering to the book's plot, the action begins with John, Mother (never named) and fifteen-year-old Beth Weeks tenting on the Adams Plateau, defending themselves and their sheep from a grizzly bear. John emerges from the bush in his attempt to kill it, wild-eyed and forever changed. The family returns to their farmhouse in a Turtle Valley plagued with fire, suicide, inexplicable deaths, and seemingly possessed animals and humans. John becomes increasingly deranged, combative, and tyrannical, and repeatedly subjects Beth to physical and sexual abuse. When he takes a shotgun to a neighbour whom he blames for his woes, he is apprehended by the authorities and temporarily removed from the community. Mother barely manages to keep the place together, coping through denial, communing with her dead mother, and keeping distant from Beth. Beth's complicated relationships with the two Indigenous hired hands, cousins Dennis and Filthy Billy, and their Indigenous /settler cousin Nora add to the tumult of her initiation into adulthood. All three have been damaged by intergenerational trauma. Dennis, who copes by drinking, and Nora, who, as the descendant of residential school survivors and "not a real Indian anyway,"; retreat from society. They provide potential companionship and romantic partnerships for Beth. They eventually elect to escape to the city. Filthy Billy, who displays symptoms of Tourette Syndrome, is the one shining light in Beth's life. He is steadfastly loyal to her, helps her make sense of things through storytelling, and is a counterbalance to her otherwise troubling home life. More revelations ensue. Empowered by the support of Filthy Billy and a belief in the curing power of storytelling, Beth takes matters into her own hands... The play ends with the quartet travelling to nearby Blood Road, which is blanketed with turtles that Billy and Beth help up the embankment where they will lay their eggs. Action replaces paralysis; cooperation with nature replaces fear of it. The dark tone of The Cure for Death by Lightning is tempered by the occasionally humorous and touching relationships between Beth and her peers. There is also magic realism conveyed by animal puppets that layers a spiritual element onto the realist template. In a production note, playwright Cloran credits the puppets with creating the "magic of the show. "; Having seen the play (under Cloran's direction) by Western Canada Theatre in Kamloops in 2017, I can attest that the vivid visual descriptions transfer successfully to the stage. Gray acknowledges that, even after he consulted written accounts by Katzie elders and developed face-to-face relationships with several members of the Katzie nation, his attempts to create a female Katzie character for Talker's Town were futile. After consulting with Clements, he saw the solution: to commission her to write a play about the same events as those in Talker's Town. Loosely based on Gray's experiences in the 1960s as a fifteen-year-old in a rough Fraser Valley mill town, "where the men all smelled like sawdust and the women washed it out,"; Talker's Town is a memory play in part about the unreliability of memory-and a great deal about the viciousness of racism and the lasting repercussions of colonialism. The narrator-talker recounts being on the fringes of a tough group of boys in the superstitious town. He is not fully accepted because he was a talker rather than a doer. The play's point of attack occurs when a pregnant Indigenous teen, Roberta-Bob, with whom Talker had a poignant Platonic night-time encounter at the wharf, disappears from the Catholic school and the town. Piecing together the past events, Talker recalls reporting to police that he had heard her wailing inside the house of Leroux (a slightly older tough guy) but receiving no follow up report. He also recalls the girl's brother, Raymond-Bob, seeking revenge for her disappearance. More memories and revelations ensue. In a powerful, disturbing denouement, Talker, like Beth in Cloran's play, achieves adulthood by taking action -action that is disturbing, ambiguous, and complete with spirits and sacrifices. Although this ending is a purging and a personal cleaning for Talker, it is also, ultimately, a scathing indictment of the ethos of the town and, by extension, of the project of colonialism. As is patent in both the preface and the play itself, the actual events on which Talker's Town are based are difficult for Gray to both recall and to process into a fiction that, in turn, is not pleasant for the reader to process. However, confronting the horrors of racism is a necessary step to eradicating racism. Marie Clements takes oral history from Katzie elder Old Pierre as her starting point in The Girl Who Swam Forever. The daughter in the first human family to live on Pitt Lake swims on the lake and is transformed into a sturgeon. She is the original fish on the lake and the mother of all sturgeon. Her brother, grief stricken at losing his sister, is transformed by their father into "an owl-like bird that can only be seen by the Katzie descendants. "; Only humans can take a sturgeon's life, and only after they seek the power to do so from the brother. Clements interweaves this story with a version of the more contemporary one in Talker's Town. The setting is both above ("reality";) and below ("dream";) water, and both the 1960s and the beginning of creation. The Old One acts as a narrator/chorus/guide to the reader, introducing the story by revealing the play's structure, gradually telling Old Pierre's story, and eventually being revealed as the original sturgeon. The richness and breadth of The Girl Who Swam Forever is typical of Clements' style. In works such as The Unnatural and Accidental Women (2000) and The Edward Curtis Project (2010), for example, she masterfully conjoins different worlds, erasing barriers of time and place and producing works that are at once strong condemnations of the project of colonization and jaw-droppingly beautiful affirmations of the resilience of Indigenous cultures. Review by Ginny Ratsoy, an associate professor of English at Thompson Rivers University specializing in Canadian literature. Now Look What You Made Me Do - Prerogatives (Blizzard Publishing, 1998). The Girl Who Swam Forever (Miami University Press, 2000). DraMétis: Three Métis Plays (Thetyus, 2001). 'Age of Iron'. With Greg Daniels & Margo Kane. The Suitcase Chronicles (Journey Publication, 2002). [Alan Twigg / BCBW 2012] "Galiano"
Burning Vision - Full Length - Commissioned and Produced by Rumble Theatre- April 2002. National Tour- Presented at Festival des Ameriques 2003, and The Magnetic North Festival 2003. Translation into Spanish. The Unnatural and Accidental Women- Produced by Firehall Arts Centre 2001, Native Earth Performing Arts, Toronto 2004. The Girl who Swam Forever - One act- Produced by Savage Media - 1995-1997. Translation into French- Magois Severine. The Unnatural and Accidental Women- BC Film Fellowship Award with story editor Frank Borg. hours of water- radio drama- CBC Radio Drama 2005. Women in Fish Series- A four part documentary, CBC Outfront 2005. The great Norval Morrisseau received his name Ahneesheenahpay, meaning Copper Thunderbird, after his mother took him to a medicine woman for treatment of a fever in 1950. Some elders argued he was not yet worthy of such a powerful name, but he recovered and was introduced to Ojibwa shamanism by his grandfather. Issues of identity resonated within Morrisseau ever since. The remarkable, tormented life of Morrisseau, the man generally regarded as the Father of Contemporary First Nations art, is worthy of an opera, so Métis playwright Marie Clements of Galiano Island has fashioned a multi-leveled stage play, Copper Thunderbird (Talonbooks $15.95) to explore his complexity. Copper Thunderbird relates a Faustian tale of the world-revered artist who became a Grand Shaman within the realm of Ojibwa cosmology while succumbing to the effects of family abuse, alcoholism and extreme poverty-including wanderings on the streets of Vancouver's Downtown Eastside. The result is a composite vision of a fractured life that ranges from the Fort William Sanitarium in 1956 (where he was treated for TB) to the Sandy Lake Reserve near Lake Nipigon in 1965 to the Kenora Jail in 1973 to the Ste. Rose Catholic Detoxification Centre in 1975 and to Los Angeles in 1987. Halfway through the play, when the voice of the young Morrisseau regrets selling his paintings, a Gallery Room Chorus echoes the opinions of white supporters and a Flooding Room Chorus represents the conflicting views of his Ojibwa community. Clements depicts Morrisseau as an internally embattled visionary unable to come to grips with his overall character. Three Morrisseau characters-boy, young man and old man-hold lively debates over each development of his life, alternately defending and antagonizing one another and giving the impression that Morrisseau is passing his own judgments on himself. Born in 1962, Marie Clements founded urban ink productions, a Vancouver-based Aboriginal and multi-cultural production company that creates and produces Aboriginal works of theatre, music, film and video. Recently Clements adapted her surrealistic play The Unnatural and Accidental Women into a screenplay called Unnatural and Accidental, the film version of which was screened at the Vancouver International Film Festival in 2006. It concerns a 30-year-old murder case involving female victims of violence in Vancouver's Skid Row. [BCBW 2008] "Art" "First Nations"
Rodger Touchie is unapologetic about it. Edward S. Curtis was a great artist. By presenting the range of the Seattle-based photographer's work in Edward S. Curtis Above the Medicine Line (Heritage $19.95), especially as it relates to Western Canada, Touchie is celebrating one of the most significant photographers of North America. Photographer Rita Leistner and Métis/Dene playwright Marie Clements' The Edward Curtis Project: A Modern Picture Story (Talonbooks $24.95) also portrays Curtis sympathetically but they contend Curtis should be held accountable for opportunistically describing First Nations people at the outset of the twentieth century as a vanishing race. "The irony of Curtis' work is that he, his patrons and those Americans and Europeans who bought his photographs were demonstrating a longing for something they themselves had destroyed,"; writes Leistner, a non-aboriginal photographer. Staged at Presentation House in North Vancouver for the 2010 Cultural Olympiad, Marie Clements' play, The Edward Curtis Project: A Modern Picture Story, examines the hubris of Curtis, augmented by an exhibit of Leistner's portraits of 'real Indians' in modern life, but his love of First Nations people also comes through. Clements shows the devastation felt by Curtis due to events around him and depicts the personal cost of his quest to fulfill his artistic vision. Replete with more than 150 photos, Rodger D. Touchie's Edward S.
Curtis Above the Medicine Line admires the gumption of a man who spent thirty years visiting 80 "tribes"; and taking more than 40,000 photographs. It would be simplistic to suggest that the two books on Curtis, or their respective authors, are at loggerheads. Rather they are coming into collaboration with Curtis from two different directions. Cumulatively there is synergy in the grappling for deeper truths. It is unquestionably remarkable that Edward Sherrif Curtis produced 20 volumes of The North American Indian, Being a Series of Volumes Picturing and Describing the Indians of the United States and Alaska (1907-1930) in keeping with his gargantuan goal of recording, with both film and text, all possible information on Aboriginals west of the Mississippi. The largest volume (# 10) was solely devoted to the Kwakiutl / Kwakwaka'wakw with whom he made the movie Land of the Head Hunters (1914) for release in cinemas across North America. As well, Curtis developed a particular fascination for the Kutenai / Ktunaxa and volumes #9 (Salishan / Interior Salish) and #11 (Haida and Nootka / Nuu-chah-nulth) were also based on B.C. travels. Seeing their dwindling numbers-and counting them, when he could-Curtis believed Aboriginals of western North America were doomed to disappear. This provided Curtis with his mandate to generate a massive archive of images that were frequently staged for effect. Although the ethnographic value of Curtis' images is enormous and valued by First Nations, he has been accused of doctoring reality by continually posing and dressing his subjects artificially. Born in Wisconsin in 1868, Edward Curtis first arrived in the pioneer villages of Puget Sound at age 19. One of his first subjects was 'Princess Angeline,' the daughter of Chief Seattle, in 1895. Four years later Curtis was a photographer for some of the world's leading scientists on a two-month scientific voyage from Seattle to the Bering Sea. This journey up and down the B.C. and Alaska coastline was the catalyst for his obsession with portraying the Aboriginal spirit and, ostensibly, eradicating false notions of Aboriginal life while responding to the tragic demise-in his eyes-of cultures and peoples. New York's Waldorf-Astoria earned him the support of President Theodore Roosevelt, who, in turn, enabled him to meet America's richest man, the financier John Pierpoint Morgan, in 1906. Prior to publication of Curtis' first volume, J.P. Morgan confirmed he would buy 25 sets of 20 leather-bound books for $75,000, to be paid in five installments. He would also own 300 original prints. When the first five volumes appeared to critical acclaim, J.P. Morgan was so impressed he agreed to provide $60,000 in additional funding. Despite these connections, Curtis' Seattle studio was chronically short of money as he struggled to complete his journeys to all tribes west of the Mississippi from New Mexico to Alaska. His marriage faltered and would eventually come asunder. For 20 years Curtis was greatly assisted by the mostly unheralded W.E. Meyers, a former reporter for the Seattle Star newspaper, who took notes by shorthand and assembled the narratives of ethnographic materials. Curtis' work was also greatly assisted in B.C. by George Hunt, son of a Tsimshian woman and a Hudson's Bay Company employee. The interpreter George Hunt lived for 60 years among the Kwakiutl and also greatly contributed to the work of the German-born anthropologist Franz Boas. During his three seasons with the Kwakiutl, with the crucial assistance of Hunt, Curtis made one of the first made-in-B.C. feature films, In the Land of the Head Hunters, presented for the first time in 1914. Filmed mostly on or near Deer Island, it premiered on December 7, 1914 at the Moore Theatre in Seattle and was shown in Seattle and New York during the next two years. The 35 mm prints disappeared until a copy was recovered by George Quimby, Chair of the Anthropology Department at Chicago's Field Museum, in 1947. Quimby and Bill Holm of Seattle transferred the footage to 16 mm stock about twenty years later. Interviewed at age 90 in 1988, Margaret Frank was known as Princess Ommagalees when she had a starring role in that Curtis movie at age 17. Born into the Kwawkgewith First Nation and raised near present-day Port Hardy, Margaret Frank, granddaughter of George Hunt, played the role of a princess named Naida in Curtis' rendition of a story recorded by a man she knew as "the Professor,"; Franz Boas. Margaret Frank recalled how her uncle stood in a war canoe, hidden behind a huge wooden thunderbird mask, flapping his arms up and down inside man-made wings, as if he was attempting to fly. Curtis stood in hip-waders at the tideline, cranking his camera on a tripod. [In the movie Naida is pursued by a shaman and a chief's son named Motana. They fight and the chief's son kills the shaman. When Motana and Naida marry, the shaman's brother raids Motana's village and abducts Naida. She is happily reunited with Motana at the end of the story.] A revised and expanded version of the restored film footage was shown in various North American locations in 2008. In 1919, Curtis' wife Clara finalized divorce proceedings and received his studio and all of his negatives as part of the settlement. In 1920, Edward Curtis moved from Seattle to Los Angeles with his daughter Beth, assisting Cecil B. Demille in the making of The Ten Commandments. Curtis died of a heart attack in 1952 at age 84. An original edition of The North American Indian sells for more than $80,000. There are many books and at least one movie about the life and work of Curtis, The Shadow-Catcher. Touchie's favourable comments about Curtis as a student of ethnology are sprinkled throughout his text. Rather than serve to validate Franz Boas' jealous estimation of Curtis as an overconfident and pretentious amateur, Leistner and Clements undertook "Edward Curtis field trips,"; visiting Aboriginal communities in western Canada. In response to those journeys with Clements, as well as to Curtis's legacy, Leistner's parallel photojournalistic investigation portrays people as they really are; not how any photographer or society-at-large might prefer them to be. For Clements, the process of collaborating with both Leistner and Curtis, as strange bedfellows for her play and book, was about the process of inviting discourse rather than generating schisms between light and dark, Aboriginal and white, vanishing or surviving. "I needed to see from all angles,"; she writes, "because I wanted to know what was behind the picture, and to do that I needed to go in with artists who had the guts and humanity to see it through. "I will be forever affected by what I saw on our 'Edward Curtis field trips' because it was also what I knew to be true-there is no Vanishing Indian, never was, but for a convenient thought.